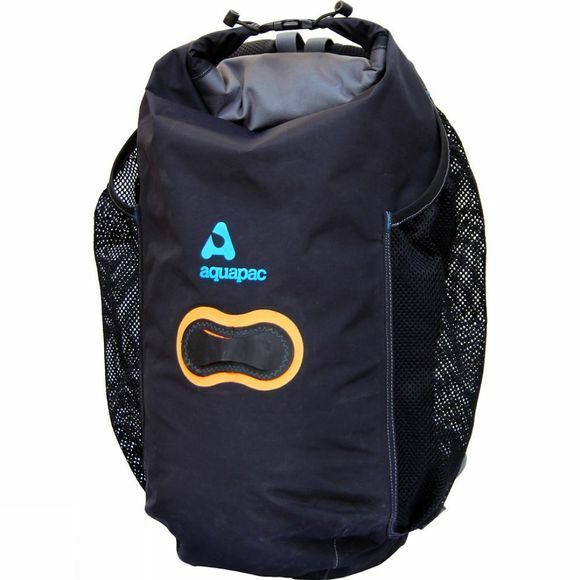 The Wet & Dry Backpack is one of Aquapac's premium-specification packs. 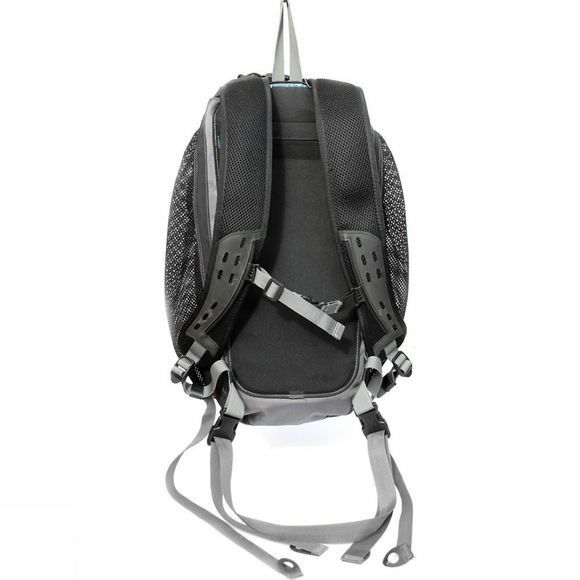 Whether you're commuting in the rain or canyoning down a waterfall, this is a fully-featured waterproof backpack that will protect your gear from the elements. The full-size waterproof internal pocket allows you to separate your wet and dry things (or dirty and clean things) stowed safely in the same bag. External mesh-pockets let you keep a bottle or pump quick and easy to get to. The proven roll-top seal is quick and easy to closure and provides excellent sealing against the elements. An integral light-lash means you can add a light to your back, or clip on your helmet to stay hands-free.